This dire situation was the beginnings of the Nyadire Connection. The Nyadire Connection, and organization made up of a group of United Methodist Churches from the Pittsburgh area, along with the United Methodist Committee on Relief (UMCOR), The United Methodist Church of Finland, The United Methodist Church in Zimbabwe, the Nyadire Water Committee, and local lay leaders seeks to improve access to clean drinking water for the people of Nyadire, Zimbabwe. Access to clean water is something that most people take for granted, and yet 884 million people around the world don’t have it. UMCOR’s water and sanitation programs are working with vulnerable communities to give them access to clean water, improve sanitation, and increase education about their water supply and how to keep it flowing. Realizing that what needed to happen to rehabilitate Nyadire’s water supply was more than what this group of churches could supply, they enlisted the help of others. 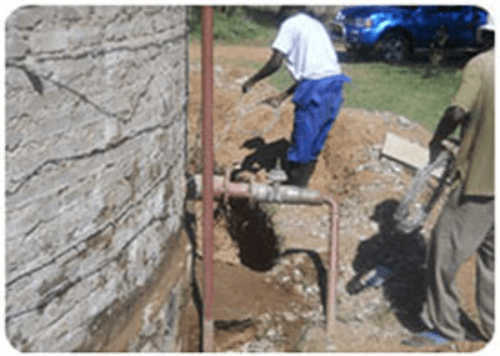 As a result of this collaborative effort that rehabilitated three boreholes, installed pumps, and reconstructed reservoirs and water canals has allowed clean water to once again flow to Nyadire, directly benefiting some 4,000 people. This summer, to further the work of groups like The Nyadire Connection and UMCOR, United Methodist Children attending Vacation Bible Schools all across the United States of America collected money to fund clean water programs throughout the world. The work in Nyadire is drawing to a close, but the cause for clean drinking water, the very fuel of life, is ongoing. Information for this article was taken from an article by Michelle Scott Okabayashi, that originally appeared here.